Plug servo into port “1” on the module as shown. Install by typing npm install servo-pca9685 into the command line. In your command line, t2 run servo.js Watch your servo move! Bonus: Make the servo turn all the way to position 1 in one fell swoop, and then back to position 0. 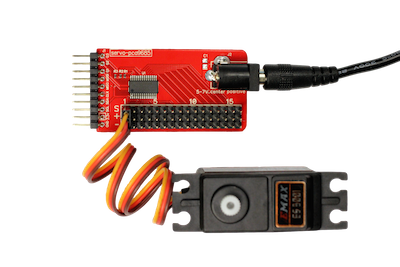 To see what else you can do with the servo module, see the module docs here. 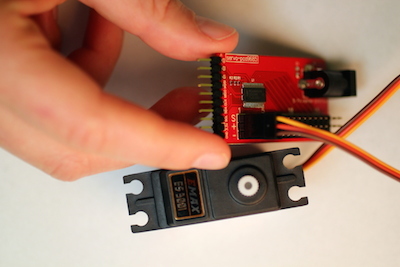 What else can you do with a servo module? Try a community-created project. If you run into any issues you can check out the servo forums.